It all started with a passing conversation between a patient and a member of staff. Therapy Radiographer, Becky Joyce (below, second left), was chatting to Wendy Tattam (centre) while she was in the radiotherapy department last year receiving treatment. The pair were talking about quizzes, and Wendy happened to mention the weekly quizzes which the charity she represents, NURSE (Needed Urgent Remedial and Surgical Equipment), holds each week in Beverley. They got on to talking about how the charity’s funds are spent, and the various departments across HRI and Castle Hill which have already benefited from NURSE’s tireless fundraising, and the rest, as they say, is history. Zip forward a few months to December, and the radiotherapy department found itself taking receipt of an early Christmas present; two Hovermatts® (one standard, one bariatric) and the respective air supplies, valued at around £6,000 in total. The Hovermatts® are used to move patients to and from their hospital beds for treatment more comfortably. Unlike traditional pat slides, the Hovermatts® have an air supply which inflates the mattress, meaning patients remain more comfortable during the move. The process is also less physically demanding for staff and means only two people are required to move the patient as opposed to four. “The NURSE charity has been working for over 35 years to raise money to purchase hospital equipment and make patients’ time in hospital more comfortable. “We are often approached by teams within the hospitals for help with equipment which falls outside mainstream budgets, but this idea came completely out of the blue, all thanks to a chance conversation between Wendy and Becky. 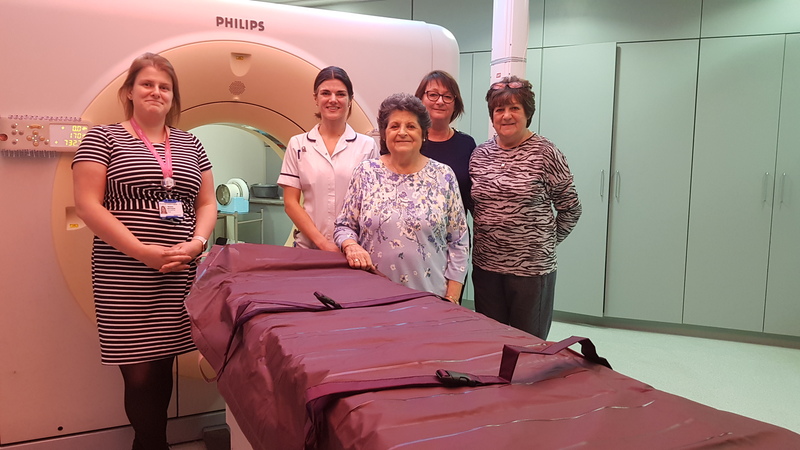 “This will make a huge difference to the comfort of those who are coming for radiotherapy treatment and need assistance transferring from bed to treatment couch. The Hovermatts® will also make the process of moving the patient easier and less strenuous for staff, which might not seem like much to start with, but when you consider a fair proportion of the 170 patients we see each day will need assistance, it can begin to take its toll.